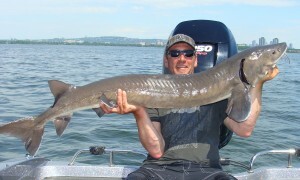 Fishing Old Montreal’s one and only goal is to provide you with unforgettable thrills and memories to last a life time. Our guides have more than twenty years experience in professional bass fishing tournaments and gauranteed a fresh catch for everyone. Whether you are with your family, friends, or with a group, our goal stays the same. To give you an experience you can cherish forever. What would be better than organizing a fishing challenge while your stay with us!? Your guide will make sure to weigh your catches as well as immortalizing the moment on film to share them with your loved ones. Ask about our group packages. Somewhat colder, the atmosphere of autumn becomes a favorable time to marvel at the colors of the landscape. Fishing is at its peak. It is almost guaranteed to catch over a hundred fish per day! From September to December, fish eat day and night in anticipation of winter. This is therefore the most pleasant period of the year for fishing. As for the fresh breeze, we can provide you with the necessities at no additional charge.